Similar to other adjacent states, Wyoming offers those who want large prairie land views and ranges of mountains in the distance the perfect place to call home. The state is tourism-central for those who want to see famous geological destinations including the Grand Tetons, Yellowstone, and the famous Devils Tower features in the movie, Close Encounters of the Third Kind. Two thirds of the remaining parts of the state are mountainous, offering lots of high-altitude features for those who want the rugged alpine life. Cheyenne provide the capital, but the state has plenty to offer elsewhere as well. Fort Laramie and Jackson also provide similar developed areas as well. The Cowboy State is last in alphabetical order, and it's also last in the US in population with less than 600,000 residents. WY is actually quite large, however, as its 97,000 square miles of land is 10th most in America. Gross state product is around $40 billion, driven largely by the millions of tourists who enter the state annually. As of this writing, the average Wyoming home is worth roughly $175,000. It's a bit difficult to gauge median sales prices, as a large segment of the listings in WY - perhaps as high as 50% - are land alone. That said, a home in the city of Cheyenne lists for about $280,000 on average. With states this small, it's important to take this sort of data with a grain of salt. Cheyenne is the capital of Wyoming and its largest city. Its metro area is home to about 15% of the state population, clocking in at just under 100,000 people. The state government and American armed forces are major local employers. Casper's nickname is Oil City, and oil and energy have driven the local economy since the late 1800s. Today, the city also has a thriving banking sector, though of course it's quite small by national standards. Wyomingites have many options when it comes to picking a financial institution, as there are both local and national players competing for your business. Below, we've listed a few of your choices with links to our reviews where appropriate. Though convenience and reputation are major factors, lots of consumers are looking for the best interest rate around. Whether you're looking for an auto loan or certificate of deposit, RateZip.com's search engine can help you make instant comparisons between lenders in Wyoming and across the US. For those who want to live in the north as well as enjoy the panoramic features of the state, RateZip.com can help. With the ability to pull up all the potential mortgage rates offered by regional banks, buyers can find the best deals for a home purchase available in-state. If you already own a home in the Cowboy State, you can get refinance quotes from multiple lenders just by filling out a simple form. 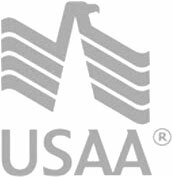 One lesser known home loan product that may be of particular interest to consumers in Wyoming is the USDA mortgage. Insured by the United States Department of Agriculture, USDA home loans are available to those purchasing a home or lot of land in sparsely populated areas. Generally, the population must be under 25,000. Additionally, your income cannot exceed 115% of the local median. If you do qualify, USDA home loans require minimal down payments and can be perfect for when you're buying a plot of land.